Even if your credit score is not where you want it, you can still get bad credit car loans mesa AZ and in the greater Phoenix area. In many cases, having a car is a necessity in life: getting to and from work, having the accessibility to go get groceries, picking up the kids at school or at their various activities, and any other part of life you need reliable transportation. At Auto Action, we have the best bad credit auto loans Arizona dealers have to offer because we want you to gain the financing you need in order to purchase your next vehicle. Just because you may have had some bad luck in your past and perhaps your credit is not so great, it doesn’t mean you shouldn’t have a car to get you where you need to be. Here are some simple steps you take to purchase a vehicle even with bad credit. 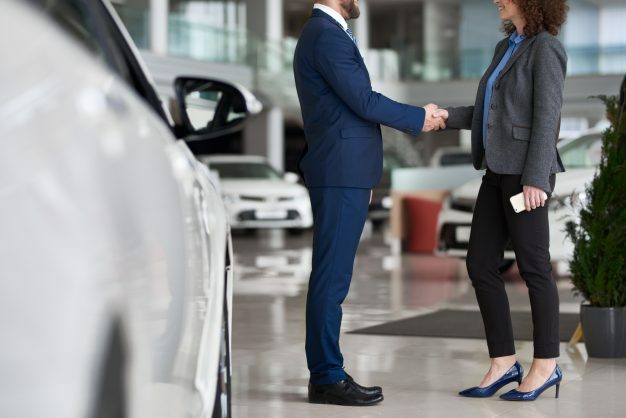 Don’t ever drive off the lot without having all the contractual details in place because the last thing you want, is to discover some unsavory surprises later on down the road. If you are being approved for auto financing when purchasing a car, often times, there will be a line of the agreement near the signature section that reads “subject to final approval.” This is not the case at all dealerships, but remember when signing your paperwork, make sure you speak to a representative about this point because it essentially means that your financing terms are not set in stone. Before signing, have an open conversation with your auto dealer about the fiscal responsibilities you are taking on. Oftentimes, people look at the number they will be paying every month and shoot for the lowest, but this can put you in a situation where the length of your loan is much longer than you thought. When discussing loan repayment terms, work with your lender to come up with a plan that fits your schedule, and most importantly, ensure that it is a payment you can afford. First, you need a valid driver’s license, proof of income, proof of residence, some references, and a down payment. This gives us preliminary information about you. Then you can fill out the application online or come in and see us. You should drive out in your new car with no problems in about 2 hours. We do not run your credit until you have been in to visit us, for your privacy and protection. Simply stated, a down payment is a glue. It helps to keep a deal together. A down payment shows us that you are serious enough to commit to a loan that you are willing to put your hard earned money down in order to finance your vehicle. The other benefit of a down payment is that t reduces the term of the loan and you then pay it off quicker. You can get a car even with bad credit, you just have to do your research. Be upfront with your questions and don’t just settle for just anything. What are you waiting for? Head to Auto Action for the best bad credit car loans Mesa AZ has available or get the ball rolling with our quick and easy online application!